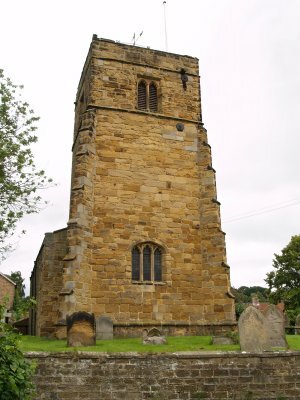 Husthwaite is an ancient hamlet that dates back to Saxon times. 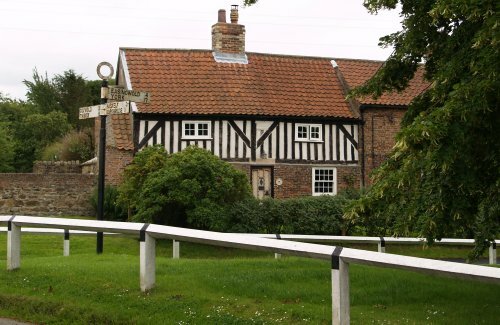 The name derives from the Saxon words "Hus" for house and "Thwaite" a clearing in the wood. 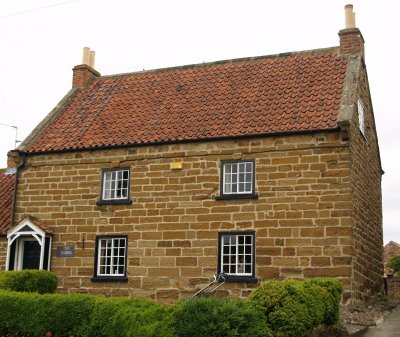 Across from the church is Black Bull Cottage, a partly timber framed building built in 1570. 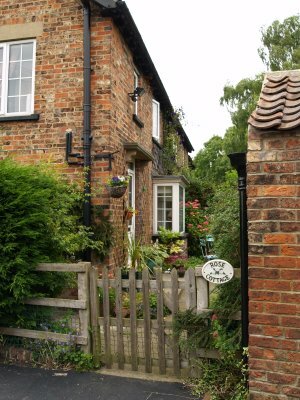 Down the high Street there are a number of interesting and attractive (in their own way) variety of houses built of brick or honey coloured limestone. 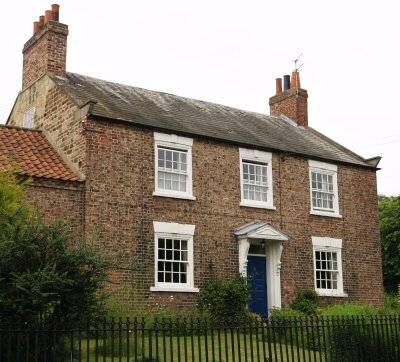 The above terraced house is dated 1690. 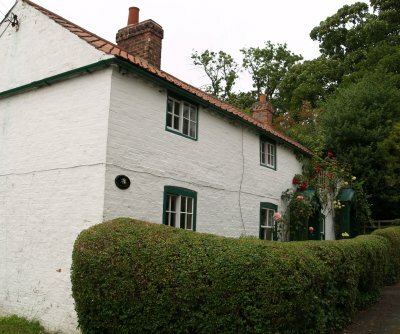 Left: Beal Cottage, date? ; Right: The Hobbits, date? 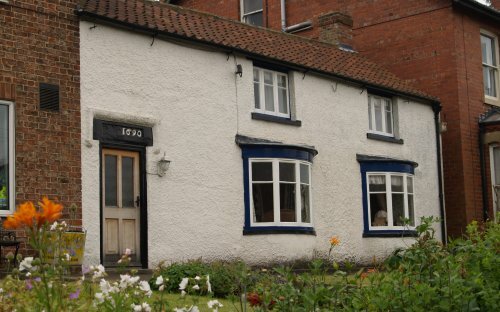 Left: It says on the left side "TB 1820"; Right: Rose Cottage. 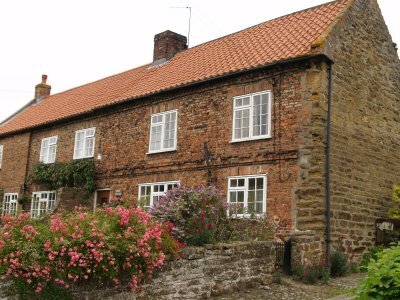 Left: Bank Cottage; Right: The sturdy buttressed tower was rebuilt in the 15th century. 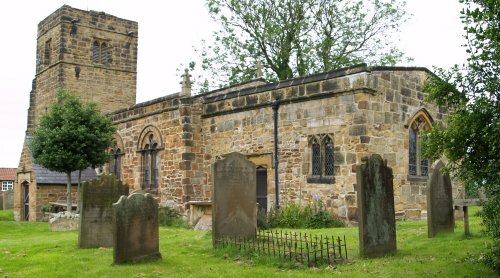 The Norman Church of St Nicholas is gem of a medieval church and well worth taking time to look around, you will not be disappointed. 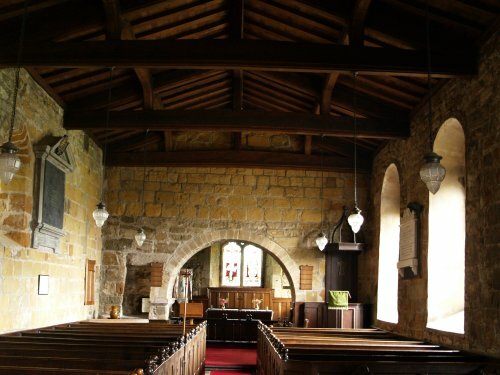 This is a small and precious gem of an early mid-12th century Norman church and is relatively unaltered from its original form. 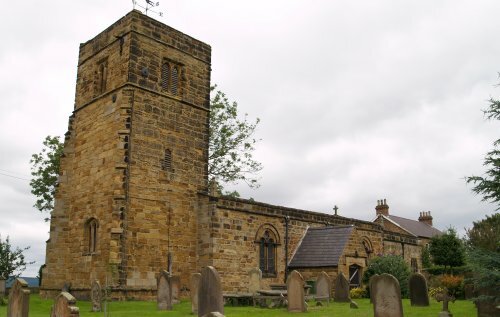 Full details of the church are given in a detailed guide pamphlet so PLEASE purchase it and leave a donation for the upkeep of this wonderfully precious historic building. 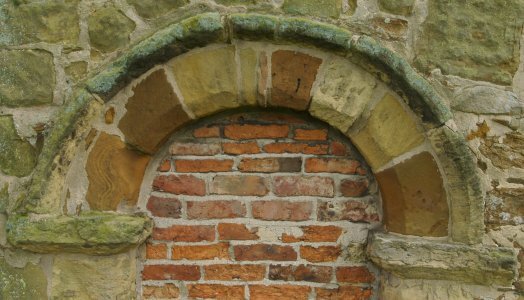 The disused Norman north door. 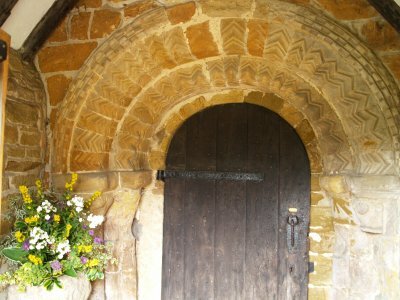 The porch of 1878 now protects the superbly carved Norman archway of about 1140 with multiple zig-zag and other ornamentation. The ancient oak door (date ?) still works fine! Looking down the nave and through the chancel arch to the altar and the stained glass window of 1896 above it. 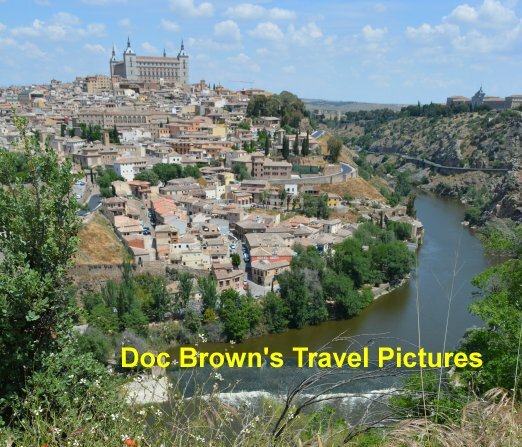 The simplicity of the churches structure only enhances its charm. Left: Modern stained glass window from 1969 in memory of three centuries of the Wailes family of the parish. 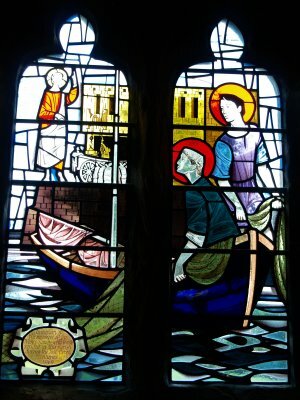 Right: Stained glass window of St Nicholas from 1904. 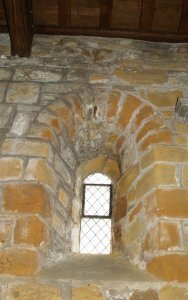 Left: An original Norman windows in the north wall of the nave. 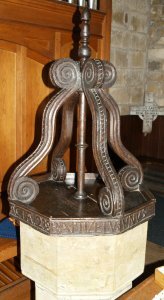 Centre: The font is relatively modern but the cover is a splendid piece of 17th century wood carving. 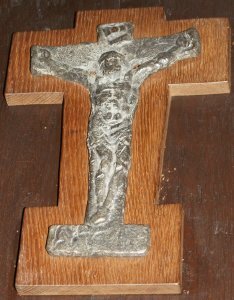 Right: A lead crucifix found in the churchyard is said to be a 13th century coffin cross.